When we were on holiday my daughter had her first taste of ice cream. She wanted more! As she’s not even one yet I wasn’t keen for her to have too much because of the sugar content. Most ice creams contain 21% sugar with some as high as 26%. Once home I decided to try to make some healthy ice lollies. I experimented with a few flavours, not all fruit work if you want a sugar-free lolly but mango and passion fruit is naturally sweet enough and delicious as it is. Make sure to use perfectly ripe fruit and it will be perfect. I also added layers of frozen banana yoghurt to complement the fruit and make it more like that ice cream that my daughter liked so much. 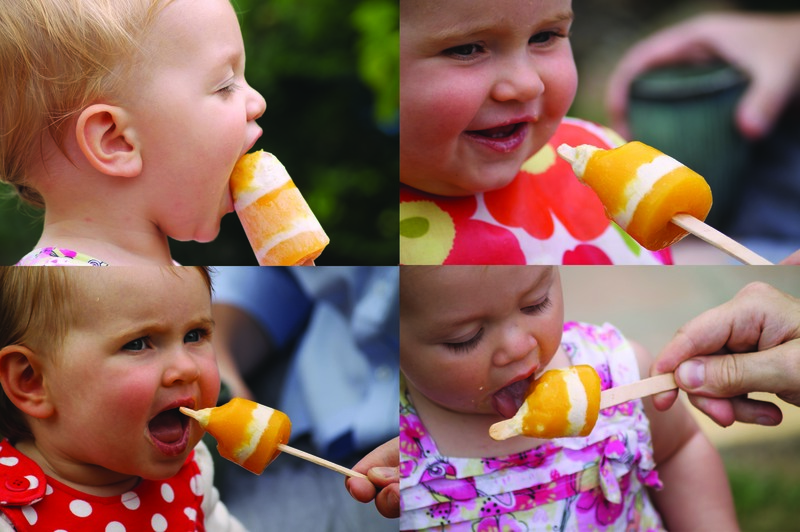 With summer finally here homemade ice lollies are so easy and fun to make. You just need some lolly moulds, a hand blender, a freezer and some nice ripe fruit. A guilt-free treat for kids and grown-ups to enjoy on a nice hot day. Enjoy! Peel the mango and cut into chunks. Blend to a smooth puree using a hand blender. Cut the passion fruits in half and scoop out the flesh. Place into a large jug or bowl through a sieve to catch the seeds. Rub in the mixture in the sieve to get every drop. Combine the mango puree and passion fruit juice. In another bowl mash the banana until smooth, add the yoghurt and mix well. 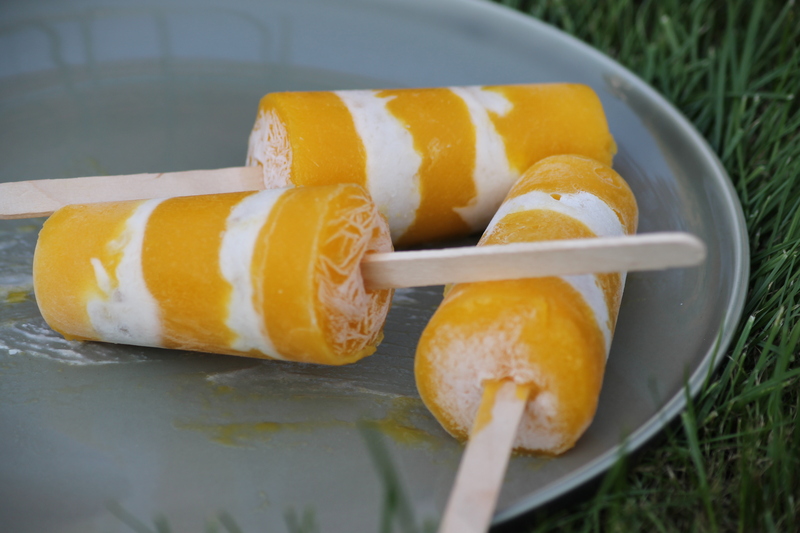 Get your lolly moulds out.To create the lollies start with a layer of mango & passion fruit mixture, top with a couple of teaspoons of the yoghurt mixture to create a thin layer. Smooth the layer flat using the teaspoon and continue to alternate the layers until the moulds are full. Push in a lolly stick and put in the freezer. Your lollies will be ready after 6 hours or so. I usually make them the day before. Tip: Keep some of the mango puree and banana yoghurt aside before freezing to give to smaller babies. Pingback: 21 Amazing and Healthy Homemade Ice Lollies to Satisfy Even the Most Demanding Palates!